-You can find the Top Tipsters sorting them by Profit, Yield or Hit Rate. -Make multiple combinations to find the Best Tipsters and get inspired from their predictions. -As a tipster you can see the statistics for the current month by selecting This Month. 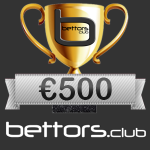 On Bettors.Club you can probably find the best tipsters in the world and get inspired from them. Thanks to our great statistics system that is very complex, the bettor can sort the top tipsters by profit, by yield or by hit rate in a specific time period. Making it easy for the bettor to choose the desired top tipster and view his betting predictions on soccer, football, basketball, tennis, rugby, volleyball, handball, hockey, baseball and other sport events. The betting tips are absolutely free and you can get inspired before you makes a real bet. Do you want to become a betting tipster and win real money prizes from us? The participation is free and this will never change. Sounds good? 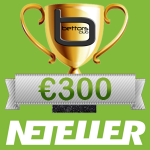 Join the best tipster competition and you will have a big chance to win monthly money prizes. Join The Bettors.Club! Bettors.Club does not provide gambling or gaming services. Users cannot deposit or lose money on this website, everything is free and always will be free. Our site is a sports entertainment and informational website, while odds and the free sports picks results are a part of that entertainment and information. We cannot be held responsible for any loss or damage as consequence of decisions based on our information or links provided on this site. Users are warned to act exclusively at their own discretion and risk. We cannot guarantee the correctness of information obtained from third parties. Also please check the laws and regulations in your own residence country to find out if you are allowed to bet online and if any bookmaker presented in our site is allowed in your country because the law differs from country to country.